This tortoise is a grazer and will rely more on green leafy broad leafs with the addition of flowers to complete its ideal diet. If you can get dandelions, that would be even better because they are a favorite. In an urban setting, it can be difficult to obtain the plants naturally with all its nutrients. It is therefore, important that you identify the best possible alternatives to ensure that your Russian tortoise remains healthy. It is evident that many tortoise lovers have experienced stunted growth and poor health with their tortoises. This is an attribute from improper diet. It is not enough to have your tortoise feeding if he is not feeding on a healthy diet that will keep him strong as well. When looking at providing a proper diet for your tortoise, it is also recommended that you consider having a variety of food rather than feeding one food, which is monotonous. Before looking into what you can buy for your tortoise’s diet, ensure that what you consider is pesticide-free. Because Russian tortoises tend to hibernate, it is important that you provide the required quantities of food when he is not hibernating. This is more so when they are out in the open. However, tortoises in captivity tend to be active longer than the tortoises in the wild. For tortoises that are kept in indoor pens, they lack sufficient exercise, which goes hand in hand with a proper diet to ensure your tortoise remains healthy. If your tortoise lives out in the open and you have grown weeds and flowers, he will probably receive a great diet as well as exercise. However, if your tortoise is enclosed indoors or in a pen, it is best that you constantly have to feed him with sufficient amounts of food and you should refill it frequently over shorter periods. Green leafy plants are recommended for Russian tortoises. However, you need to identify the edible plants. While you can purchase them, you can also grow them in your back yard or in pots. These lists can go on and on. The important part is that you have a variety of plants to avoid monotony and enhance frequent feeding. Fruits should only be given in moderation. This is because of their high sugar content, which will cause bloating, parasite blooming, and discomfort from excessive fruit. One recommended fruit that can be given more often is the apple due to its high content of pectin. While you are ensuring that you are providing the right greens and fruits, it is also recommended that you provide supplements to the diet. While there are several supplements you can include in the diet, the most important supplement is calcium. It is however important that you monitor the amount of calcium you give to your pet depending on his exposure to UVB. Tortoises raised outside in the open require a light dusting of calcium on their food on a daily basis. Those raised indoors should consider a phosphorous supplement that is free of calcium. Just like everything else, too much of calcium comes with its downfalls. A lot of it comes with secondary side effects such as deficiencies in zinc, copper, and iodine. In addition, it leads with mal-absorption of essential fatty acids as well as leads to formation of calcium, which contains bladder stones. That said it is best to concentrate on giving your tortoise greens that are rich in calcium. This ensures that your tortoise does not have too much of calcium. This should go hand in hand with cuttlebone. Cuttlebone is essential in boosting your tortoise’s ability to regulate his calcium intake. You can visit a vet to better understand consumption of cuttlebone. This is because there are times when your tortoise will require more amounts of calcium such as when your turtle is young and growing. Gravid females will also need a higher calcium intake. TNT (total nutrition for tortoises) is a nutritional supplement that provides vitamins and minerals that may lack in a diet especially in tortoises bred in captivity as it is made from dried and powdered flowers and weeds. In addition, you will need to supplement with probiotics, which serve the purpose of restoring the functioning of your tortoise’s gut. This nutrient binds minerals more especially calcium. This occurrence in addition to insufficient hydration will cause kidney stones and in the long-term kidney failure. Avoid rhubarb and beet greens. While spinach is good for your turtle, it should be given in limited quantities. This nutrient is known to bind minerals as well as well as proteins. It is found in higher concentration in foods such as peas, beans, and cereals. This nutrient binds proteins and negatively affects digestion. Purine in small amounts is not harmful but when taken in large quantities by Russian tortoises, it will cause kidney diseases. This nutrient will interfere with your tortoise’s ability to take in iodine. To avoid this nutrient, it is recommended that you avoid the Brassicae family of plants. The following is a list of foods to avoid for your tortoise’s diet. There is no such thing as overfeeding Russian tortoises if they are feeding out in the wild. 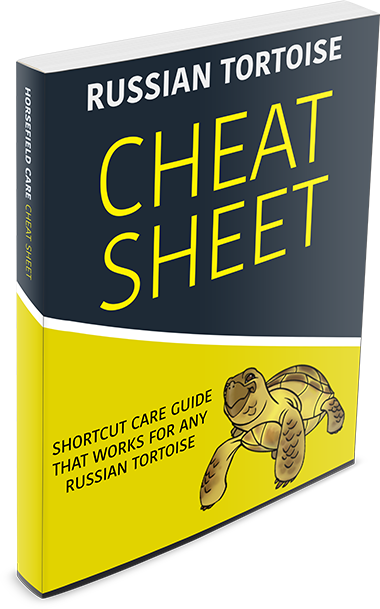 However, for Russian tortoises that are bred indoors and locked in pens, they may overfeed. This is because all they have in the pen to keep them busy d the food you leave inside. When they are out in the open, they can regulate what they east and keep themselves busy with exercise. Unnatural foods are not highly recommended for the Russian tortoise. It is recommended that you enforce a natural diet that is high in fiber and calcium. The protein content should be low in proteins under a natural diet. In addition, it does not include fruit. While you can include supplements, it is advisable that a natural diet is implemented. Many indicate the essence of giving pellet food, which contain soy, wheat, and/or rice. However, they are high in omega 6 fatty acids, which negatively affect Russian tortoises. They also cause leaching of the bone because they have an acidifying effect on your tortoise. 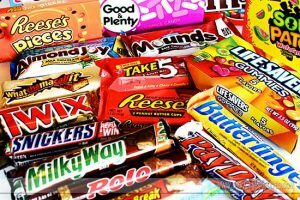 Another reason that contributes towards avoiding these foods is that they have high content of phytate. Phytate binds calcium and other minerals, which your tortoise needs for growth. Russian tortoises require a diet that is high in fiber and low in protein. You only need to provide sufficient amounts and eliminate nutrients that bind protein synthesis. Water is very important for the Russian tortoise just like with every other living thing. This is more so that the Russian tortoise is an arid species. With a natural diet, most of the water can be obtained from the solid diet especially when the weeds or flowers are fresh. This in mind, you are still required to provide a constant supply of water specifically for your tortoise. The Russian tortoise diet is not as complicated to address once you understand what is best what their diet involves and what to avoid in the diet. 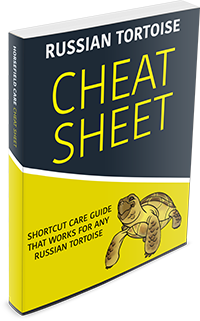 The above guide will help you ensure that your tortoise remains healthy in reference to the diet required. Health and hygiene also go together and it is therefore, important that you clean your pets feeding area. A natural diet is recommended with a touch of supplements. In case you worry that your Russian tortoise is not feeding, it is advisable that you seek professional help as this is a sign that he is not feeling well. Remember, regularly change your tortoise’s foods and alternate them to ensure that he does not stop feeding. The above Russian diet is healthy and safe.